Heir of the 3310? Check out this BlackBerry Passport durability test! You are here: GeekSays Technology News » General » Heir of the 3310? Check out this BlackBerry Passport durability test! Even though the opinions about the BlackBerry Passport were split, mostly because of its weird design – it has a squared display – it seems that the Canadian manufacturer has finally released the savior device! The sales are going extremely well, while the pre-order stocks from Amazon and BlackBerry‘s website were empty after just 10 hours. Also, it seems that we’re dealing with a pretty tough phone, as the guys from N4BB wanted to prove with their durability test. As you can see, the BlackBerry Passport is one of the most durable phones out there, somehow reminding us of the almighty Nokia 3310. What about the specs of this bad boy? The phone comes with a 4.5″ display and a resolution of 1440 x 1440, which is kinda unique right now. Also, it has a capacitive touch 3-row QWERTY keyboard, a trademark for BB. Under the hood, there’s a quad-core Snapdragon 801, clocked at 2.26 GHz, with 3 GB of RAM and 32 gigs of internal storage, expandable with up to 128 more, using a microSD card. On the back, there’s a 13 MP camera, teaming up with a front 2 MP snapper, while the operating system is the company’s own BlackBerry 10.3. So, for $599, you’re getting not only a device with top-notch specs, but a pretty damn tough one too, as the durability test shows. 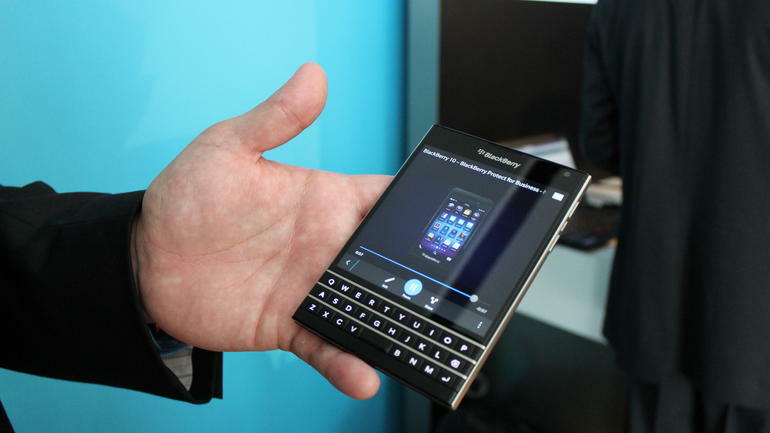 Is BlackBerry Passport the phone fans were waiting for? Pretty much if you ask us. What do you think? Would you buy this smartphone?